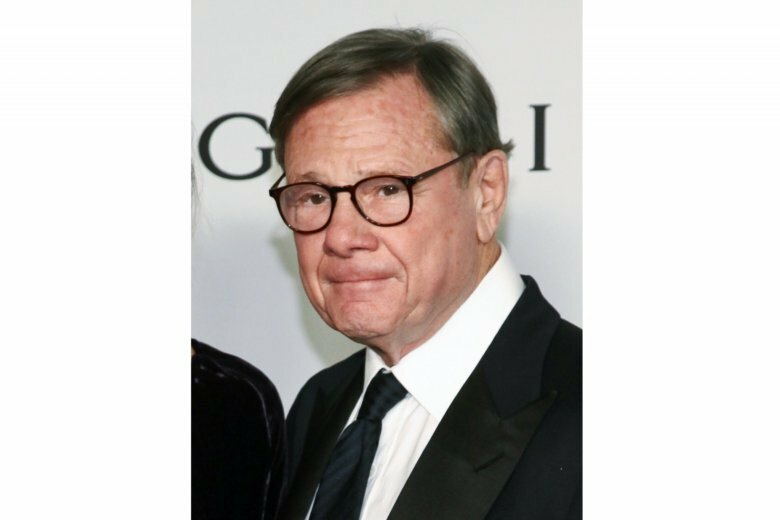 NEW YORK (AP) — The man promoting a book was Michael Ovitz, the former Hollywood super-agent. The biggest speaking part belonged to Bill Murray. “I’m going to talk for a long time because Mike’s got no chops, no chops whatsoever,” Murray explained Wednesday night at the start of their joint appearance at the 92nd Street Y in Manhattan. They have known each other for more than 30 years and their rapport, Ovitz says, was exactly what the hundreds of audience members were witnessing. Murray teased and provoked his onetime representative, who helped him star in such films as “Stripes” and “Ghostbusters.” Ovitz, once among the most feared people in Hollywood, was willing to go along. “The most powerful man in the business is blushing,” Murray responded. Seated in matching pink armchairs, they were somehow dressed in character — Ovitz in a dark business suit, Murray more casual in a dark buttoned shirt and slacks. Ovitz has just published his memoir “Who Is Michael Ovitz?” And Murray couldn’t stop joking about the title, especially how Ovitz’s name is placed right beside it on the spine, like the answer to the world’s most obvious question. “It’s ridiculous,” Murray said with a laugh. The book tracks Ovitz’s rise to Hollywood powerhouse after co-founding Creative Artists Agency in 1975 and eventually having clients ranging from Murray and Dustin Hoffman to Barbra Streisand and Tom Cruise. Ovitz also writes of his swift decline, one which makes the title not quite a joke, when he joined Walt Disney as president in 1995 and was forced out just over a year later. Starting with “What made you think anyone wanted to hear your story?, most of Murray’s comments were like a parody of a celebrity interview. He praised a passage near the end of the book and wondered if Ovitz wrote it. He questioned the accuracy of Ovitz’s memory and even got his old friend to admit to getting a minor detail wrong in his telling of how Murray ended up with a brief role in “Tootsie.” Ovitz, meanwhile, had a few other stories about Murray, like the time he disappeared as “Tootsie” was scheduled to begin production. With just days to spare, Murray finally called, from the Taj Mahal, collect. He also vanished before the making of “Stripes” and when he did turn up, he hadn’t read the script. “I’m a quick study,” Murray said with a shrug. “It worked out in the end,” Ovitz insisted. Ovitz’s toughest moments Wednesday night were when he tried to say nice things about Murray. As he praised his old friend as a “very brilliant and highly intellectual man,” Murray stuck his finger in his mouth and pretended to gag, like his “Nerd” character from “Saturday Night Live.” Ovitz, determined to show that Murray was more than a comedian, remembered being alone in a hotel in New Haven, Connecticut, where one of his children was ill in a nearby hospital. An unexpected knock on the door: It was Murray, who stayed with Ovitz for the next two days, until the crisis passed. “There’s a soft spot to this guy that’s pretty extraordinary,” Ovitz said.